Throughout the evening, Apatow and Mann riffed with moderator Richard Crouse and showed the audience how their natural, liberal approach creates the slice-of-life synergy that looks so effortless on screen. The laughs started immediately when Crouse (who always impresses with his wittiness and flashy socks) began with a few obligatory Rob Ford jokes. Apatow, ever the softie, took sympathy with the recently ousted mayor, dropped an F-bomb, and caught the vibe of the audience as everyone settled in for a casual conversation. The anecdote about the couple’s relationship provided a good segue for illuminating how they create material that is riotously funny yet true to life. The first tip, Apatow explained, is not to remain conscious about whether something will be funny or not. Mann added that it’s all in the timing and delivery, noting that she doesn’t even consider herself a “comedic actress” even though her roles often go beyond the typical straight-man part that’s conventionally been reserved for women in comedy. The conversation gradually built towards This is 40 with Apatow and Mann sharing with Crouse and the audience how one can inflect scenes with a variety of tonal shifts, or by adding more substance and depth of character by infusing material with snippets of one’s own life. 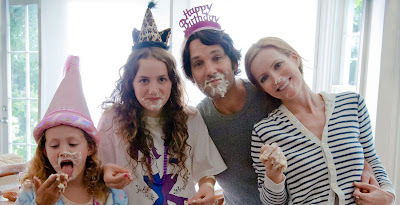 This is 40 is arguably the most personal film that Apatow and Mann have made together so far: not only does the married couple in the film (played by Mann and Paul Rudd) draw shades from Mann and Apatow’s own marriage, but the two daughters in the film are played by the couple’s daughters in real life. 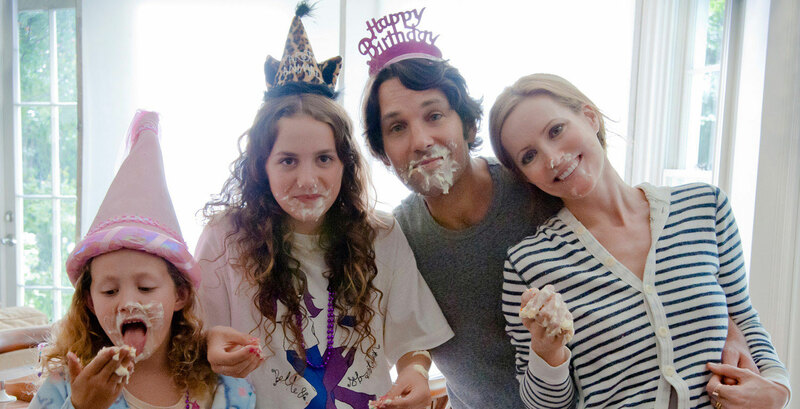 Scenes from the couple’s family life even seeped into the evening’s conversation when their daughter Maude called Apatow in the midst of an answer and he inconspicuously put her on speakerphone. (So, if you think that your dad embarrasses you in public, just imagine what happens when he is a professional comic!) Adding their daughters is simply a new element of adaptability that the couple has brought to their work, and they seemed to have made it even more maturely humorous than it was before. It seems that comedy is always a work in progress! This is Forty opens in theatres on December 21.